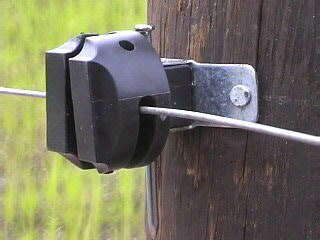 Wood Post Lay-Down Fence Clip also shown with optional Insulator. provides the strongest most versatile fencing solution on the market. each 1/4 mile rather than between each pair of posts. steel posts into the ground or bends them, when the wire is left installed. Laying the wire down prevents this. 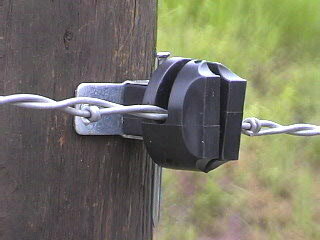 Our fencing clips adapt to fit 4", 5" or 6" wood posts. If you need to have an electric top wire or two, it is a piece of cake to do. 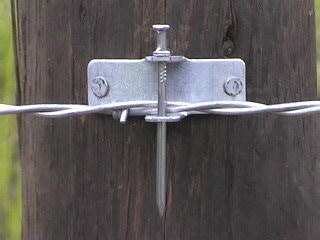 Each clip comes provided with a 2 galvanized nails and 1 duplex nail. (not provided) for a super-tough wood post fencing solution. Take your pick. Copyright © 2007-2018 tincupcreekfence.com, Inc. All rights reserved.